Why WordPress for your website development? Are you a small business owner, who is struggling for success? 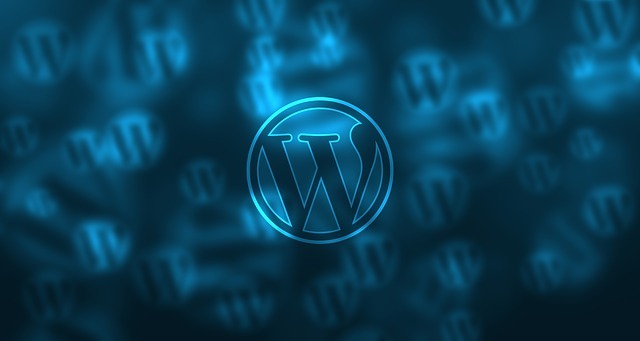 Then you need to think about developing your website based on WordPress. From the recent studies, it has been identified that around 25% of all websites that you can find on the internet are based on WordPress. That’s not the only reason available for you to go ahead and use WordPress as the CMS for your business website. Below mentioned are 5 prominent reasons, which explain the benefits that your small business will be able to get from the usage of WordPress. To begin with, you need to understand why WordPress is recommended for the website development activities. By going through the following facts, you will be able to get a clear understanding. But if you feel that you need additional information, all you have to do is to give a call to (844) 336-3700. As a small business owner, you are not in a position to spend a fortune on getting your business website developed. That’s where WordPress will be able to assist you with. Most of the small scale business owners tend to stay away from getting their business websites developed. That’s mainly because they are not in a position to afford the expenses. But if you go ahead with WordPress, you will have to spend under $100 to get the business website developed. This fact has impressed the business owners who live in every corner of the world. As you already know, you will be able to take your small business to the next level along with the assistance of a website. WordPress can provide much needed assistance to you with that. When you proceed with WordPress to design your small business website, you will never run out of options. That’s because a large number of themes are available for you to try out. You can easily select a theme that matches with your specific requirements. This can keep you away from getting a website developed from the scratch. Months of hard work can be done in a breeze by installing an appropriate theme on your WordPress website. In fact, you just need to install the theme and upload the content. Then you will be able to become the owner of a fully functional website without any hassle. After getting the website developed, you will have to manage it along with time. For example, you will do changes in your business and you will get the need to reflect those changes in the website. In such instances, you are not in a position to get the assistance of a professional web designer and a developer. If you do, you will end up spending a considerable amount of money. But when you are on WordPress, you will be able to do the changes on your own. WordPress is not something difficult to learn. You will be able to complete the learning process in a breeze. It is even possible for a non-technical person to learn how to use WordPress within a short period of time. After gaining the knowledge, you can simply manage your website on your own and save a large amount of money in the long run. While you are on WordPress, you will be provided with the freedom to go ahead and create unlimited pages. Hence, you will be able to upload all your business information to the website. Your potential customers will be able to get all essential information from the business website as well. Hence, you will be able to make sure that all your potential customers are informed at the time of making purchases. This will help you with improving customer satisfaction in the long run as well. This is one of the most significant factors why WordPress is worthy to consider for your website development activities. You will be able to get more details about it by contacting (844) 336-3700. Thousands of plugins are available for the WordPress users. You can browse through all those plugins and select the best ones out of them. Then you will be provided with the opportunity to enhance the overall functionality of your website. For example, if you want to add a new subscribe list to your website, you can simply get the job done with the help of a WordPress plugin. You will be able to install and tweak the plugin on your own as well. Whenever you don’t need the plugin, you can simply disable it. Therefore, you will love the enhanced level of control that will be provided to you over your website. Information on anything and everything is available to us today in the palms of our hands, in this the 21st century after we started counting the years. Thanks go out to the sophisticated mobile devices that we carry and which has proliferated communication capability and made the world a small place for which we have appropriately coined the word Globalization. We too have evolved with the technology provided and are impatient when we need information, which we expect the providers to give it to us at double quick time. We tend to get irritated when such information is not forthcoming fast as we press on our mobile devices whether it is a smart phone or tablet because we assume with high expectations and impressions that the device should give the information we seek instantaneously on our screens. This has not been the case because the providers of the information had their own limitations in doing so due to various problems within their systems. Google the leading search engine provider to the world and leading the way in all innovations that have taken place over the last couple of decades have initiated the Accelerated Mobile Pages (AMP) Project, in consultation with all other stakeholders in the Information Technology industry. The AMP Project relies on AMP HTML and born out of every conceivable web technologies available in a new framework facilitated by light weight web pages. This new technology enables the loading of rich content like video, animations and graphics working alongside and in collaboration with smart ads. Which otherwise would take snail’s pace to load onto the mobile devices leaving the mobile users irritated and frustrated to move on without having the opportunity to see and if required engage with the various advertisers. Advertisers would have spent much time and money in their efforts to initiate action from their potential and prospective customers but who would have just moved on due to delays in the technology that they are provided with on their mobile devices’. It is very heartening to note that most of the major stakeholders, namely Twitter, Pinterest, WordPress.com, Chartbeat, Parse.ly, Adobe Analytics, and LinkedIn and many others who rely on the vast possibilities which the Internet provides have joined in to support this endeavor. It is envisaged that before long with the success of this initial step into a faster world for all mobile device users they would have the much sought-after Google News also incorporated into the AMP HMTL platform. The AMP Project would also enable much richer content to be carried to the palms of prospective customers to enable them to see better high-resolution videos, visualizations and many more in much integrated style, which is what professional marketers have been lacking previously. 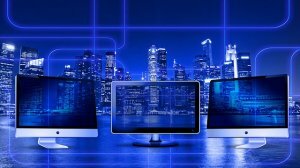 It would also enable better distribution across the Globe and more than anything else at higher downloading speeds that would enable users to move faster with the new technology. The new AMP Project would be a golden opportunity for advertisers too and would enable them to take their marketing messages first and fast to their prospective customers. Now you know why WordPress is important for developing your website. If you want to take your website development to the next level, you are strongly encouraged to use WordPress as a platform. You don’t need to be a technical expert in order to use WordPress and get the most out of it. 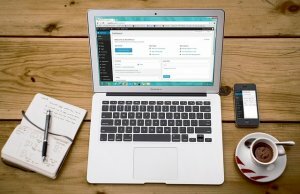 A simple understanding on how to use a computer will be able to help you manage a WordPress website on your own as well. After you get the website developed, you will come across the need to update it on a regular basis. However, you are not in a position to contact a professional web designer to get the job done. If you do it, you will have to spend money out of your pocket. In fact, you will have to make a payment at every time you want to get a simple change done in your website. This is the reason why you need to go forward with WordPress. As you are in a position to manage the website on your own, you don’t need to think about getting the help of a professional. You will be able to do all the minor changes on your own. This will provide a great assistance for your business to save a lot of money in the long run. However, you will still need to get a website developed with WordPress. Contact a professional through (844) 336-3700 and you will be able to get the website developed as per your requirements.